Here are all the IPL 2019 Major changes in the teams. 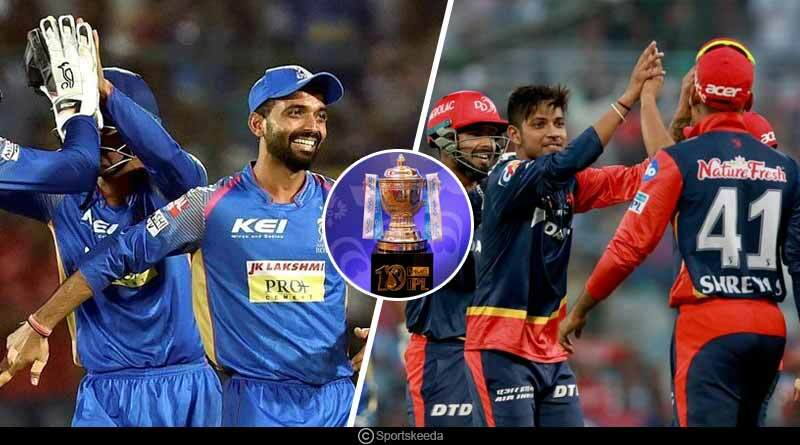 IPL 2019 promises to be an enthralling and illustrious affair owing to the major developments being ahead of the season. While the introduction of a transfer window before the auction and reeling in the auction earlier than usually conducted saw teams spare no expense in strengthening their squads, making for exciting and intriguing viewing, there has been massive news coming in from the participating franchisees as well. The capital-based outfit has undergone one of the biggest changes, with new owners seeing them ditch the old logo and name in favour of indulging in a new one; Rajasthan Royals have also decided to redo their outfit. The side has decided to do away with the usual blue outfit worn by the players in favour of a pink one as they look to identify with the true tradition, values, culture and essence of the state. 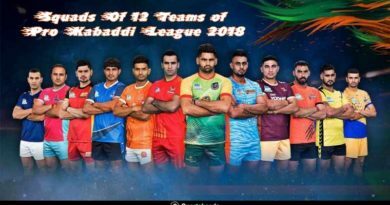 Ahead of IPL 12, we take a look at all the major changes that the franchisees have undergone and how they could impact the upcoming season of the most loved and watched showpiece T20 club tournament in the world. With the ownership seeing new faces being inducted into the franchise, the team now sees GMR Group and JSW Sports jointly owning the side from this season with both holding an equal 50% stake in the side. The move saw the previously known Delhi Daredevils side being refurbished as the Delhi Capitals along with rebranding the logo and outfits of the side as well. While the original red and blue colour has been retained in the team logo, the new logo developed for the side has been inspired by the design of Parliament House‎. The tiger features as well in the new design, with the national animal and the three tigers’ idea derived from the Ashok Chakra. It’s not just on the cosmetic front though that the side has decided to ring in the changes as they look to make the final of the Indian Premier League for the first time since its conception, the side have decided to retain the captaincy with Shreyas Iyer who took over from Gautam Gambhir midway through last season. In the coaching front, there’s news as well with Kaif earlier named as the team’s assistant coach while Ricky Ponting continues to be the head coach of the team. As far as the team’s squad goes, ahead of the upcoming season, they’ve decided to release Gautam Gambhir and a host of international players which include Jason Roy, Glenn Maxwell and Liam Plunkett. Among major news in the auction, they roped in the services of Colin Munro and Mohammed Shami with the stalwarts becoming their most expensive purchases for the campaign. The side recently announced that the blue team outfit will make way for a pink one as they look to establish a stronger tie with the state. Whereas Jodhpur is famous for pink sandstone, another Rajasthan city Udaipur produces pink marble seeing the side make the shift the franchise had tried out a pink outfit for one match during IPL 2018 as well before eventually returning to type with their blue colours for the remainder of the season. Revealing the news on a show hosted by Star Sports, RR said that the move was taken after the fantastic response received by the team’s faithful last year while they had opted for pink to raise awareness for cancer. The move thwarts away speculations that were doing the round earlier of Rajasthan Royals current owner Manoj Badale looking to part away with the side and find a new buyer ahead of the season. The reports were unsubstantiated and as the team gears up to put in place the last modalities ahead of the season, news of the ownership changing hands can finally be safely put to rest. That’s not the only news that the Rajasthan Royals make be bringing our way though. While Ajinkya Rahane was named the captain of the side last year after Smith was kept out of the IPL after a ban served on him by Cricket Australia, the leadership front could see Rahane relinquish his status to the returning Smith. The side had also made headlines during the auction process when they had decided to bring back the underperforming Unadkat back into their outfit after releasing him. Having signed him for Rs 11.5 crores in 2018, his dwindling performances had seen the Royals release him but in an unprecedented move ended up shelling out Rs 8.4 crores in 2019 to bring him back to the side. For more articles like IPL 2019: Major changes in the teams, do Subscribe to our newsletter and follow us on Facebook, Twitter and Google+.